3.6 oz / 108 g $17.20. 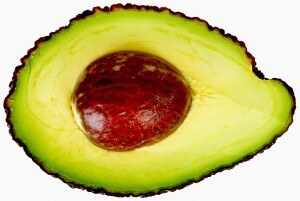 INGREDIENTS : Avocado butter extracted from fresh avocado flesh, blended with Organic Palm Oil, non-hydrogenated. Nourishes dry skin and wrinkles due to Vitamins A, B, D, E and Beta-carotene. Contains phytosterols with skin anti-aging properties. Known to soothe eczema / psoriasis. Proteins and lecithin moisturize hair and skin. The top anti-aging neck cream is Garden of Essences Avocado Body Butter, due to all the above natural ingredients, which work so much better than chemical-packed commercial brands. This light avocado colored Butter, is one of our richest Body Butters, so it is the best remedy for the very dry skin of your elbows. knees, knuckles and heels. The addition of Organic Palm Oil to this Butter, reinforces the potency of this product, as it naturally contains the nutrients alpha-carotene, beta-carotene and lycopene. Palm oil contains other carotenes including tocopherols and tocotrienols (members of the vitamin E family), CoQ10, phytosterols, and glycolipids – which coat cell walls, forming a barrier that holds the skin’s water content in place.